Eligibility: The Disney Magic At Sea Sweepstakes is open only to legal residents of the 50 United States or the District of Columbia and Canada (excluding Quebec) who are at least 18 years of age (or age of majority in their jurisdiction of residence, whichever is older). Promotion Period: The Sweepstakes begins at 12:00 PM PDT, August 13, 2018 and ends at 11:59 PM PDT, September 12, 2018. Limit: Limit of one (1) Entry per Member per day. 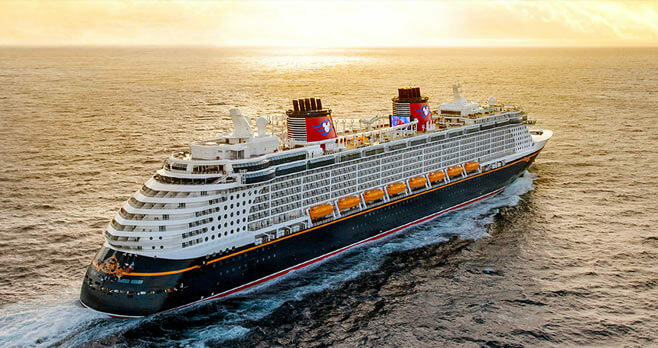 Prize(s): The grand prize consists of a five (5) day / four (4) night Disney Cruise Line vacation to the Bahamas for Winner and up to three (3) guests to be taken aboard the Disney Dream.